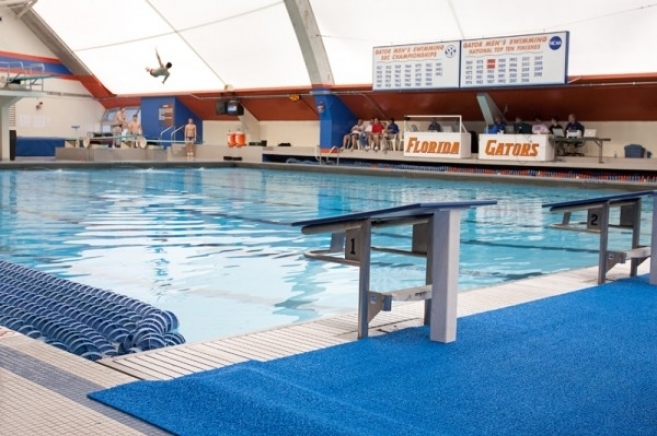 Have you ever seen a gator or a razorback slip when getting out of the pool? 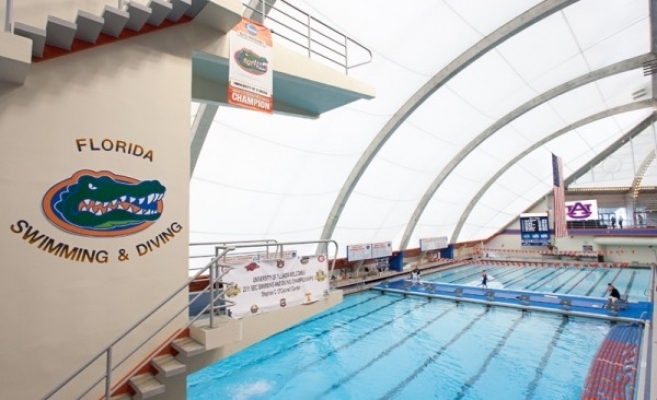 If you said no, that might be in part to PEM’s Aquatic Matting being used at the SEC swimming and diving championship. Obviously we are not talking about the animals, but mascots that represent some of the country’s best universities. The SEC or Southeastern Conference is comprised of schools like the University of Florida, Vanderbilt University, Louisiana State University and Auburn University. 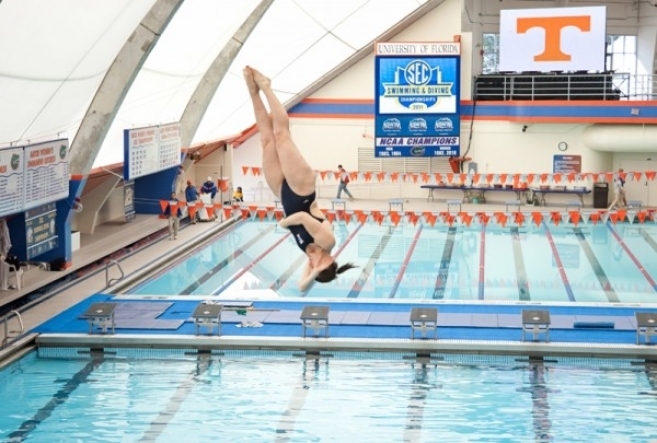 Every year the best from the conference compete in the conference championship to determine a winner, which can be difficult because SEC schools have also won an astonishing 23 NCAA swimming championships. The 2011 SEC Championship was held at the University of Florida’s Stephen C. O’Connell Center. 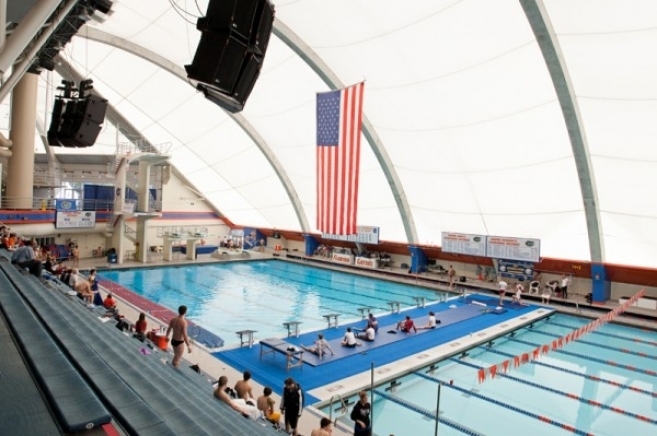 Utilizing PEM’s slip-resistant properties and comfort to bare feet, our matting was installed on the pools bulkheads. Also because PEM contains an antimicrobial biocide and can be rolled up for easy storage, it can be used at future events for years to come. This year, athletes broke a number of SEC records with the Auburn University coming away with the win for the men and the University of Georgia the winner for the woman. It was a great weekend of friendly competition and large crowds to cheer the student-athletes on. Take a look at the photos of PEM in action!